Cyber Monday: Last Chance For Deals Your Website Will Love You For! I hope everyone had a wonderful Thanksgiving! 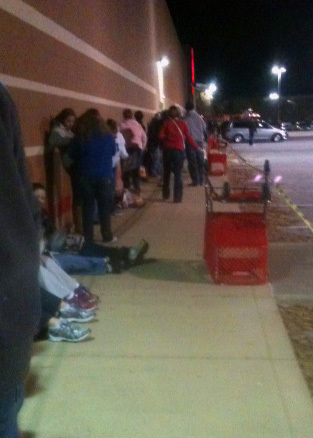 We had a great one and my Black Friday stress was unnecessary. I’m happy to say Target was well organized, everyone in line was friendly and best of all I got everything I battled the crowds for. All in all it was a happy and successful day! Meanwhile, great savings for your website continue, but time will run out today and these deals will be gone so don’t let them slip by! Anyone that knows Eco-Office Gals, knows our love of the CopyBlogger Suite, including StudioPress Themes & Premise. Our portfolio will show several websites customized on StudioPress as well as our own website. You can’t work with a better theme, I promise! CopyBlogger rarely offers a discount off their already valuable prices, but until 5pm Monday, November 26 you can get 25% OFF all StudioPress Themes and Get $70 OFF Premise. Don’t drag your feet on this deal, it doesn’t come by often. Remember you MUST use this link to take advantage of Copyblogger Media’s Black Friday Sale! Host Gator is offering 50% off your first order – any order. They offer 130% wind-powered hosting and the best hosting support out there! They are continuing this sale through Cyber Monday if you missed the Black Friday Sale. 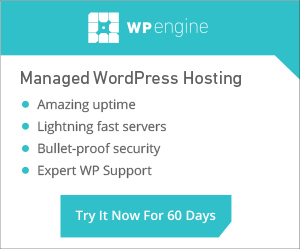 WP Engine is hosting exclusively for WordPress. They are offering $25 off your visitors’ first 3 months of service! That’s premium WordPress hosting for as low as $4 per month for the first 3 months! Coupon code “blackcyber” is valid From November 22nd to November 26th. Don’t miss out! Once you have your website built on the best platform out there and it’s supported by our favorite green host, you must maintain your site. WordPress, Themes & Plugins are always being recoded to bring you the best & most secure experience available online. If you let your platform run unattended it may become compromised and taken over by hackers – who wants that? No one does – ask anyone that has had to start from scratch due to a compromised plugin they didn’t update. Eco-Office Gals is offering HUGE discounts on the Monthly WordPress Maintenance package through Monday. Not only will you get a discount on 1 site (regularly $50 per site), but you will receive additional multi-site discounts! Your maintenance includes regular updates of all WordPress, Theme & Plugins. Please review all details and fine print on our Monthly Maintenance Page, but come back here to sign up for the reduced rate. 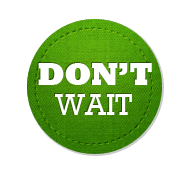 Once you are signed up I will contact you for information needed to update your websites. If you are currently experiencing issue with your WordPress site or you are several versions behind please contact us directly to assess your needs before paying for this service. This discount is no longer available. Thank you for visiting! The best part? No lines – you don’t even leave your chair! Make sure you grab these deals and come back for more to be announced. Your website will thank you!